We have created a new water colour floral print in contemporary charcoal and greys. A pop of colour in the print and piping detail adds warmth to the room while a classic grey ticking stripe reverse adds balance. Matching Oxford and standard pillowcases available separately along with a contrasting throw and cushion. 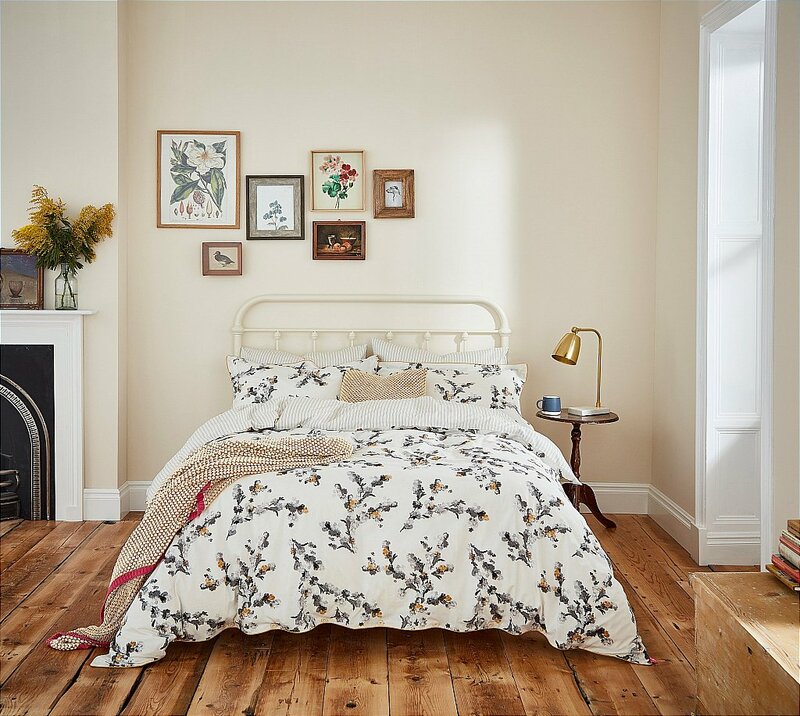 I would like more information about Mono Blossom Floral Bedding In Concrete by Joules.